Mob violence or ‘mob lynching’ in some cases, has become a new normal in India and there is no denying the fact. And as we speak, Delhi witnessed a brutal case of the same on Tuesday around its Moti Nagar area. According to NDTV, a car was vandalised in the midst of traffic by a group of men who were on the Kanwar pilgrimage. 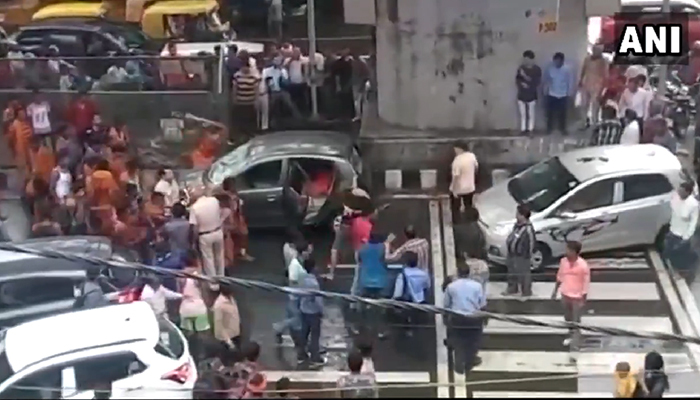 The car had allegedly ‘brushed past’ them on a Moti Nagar road, which triggered the attack. 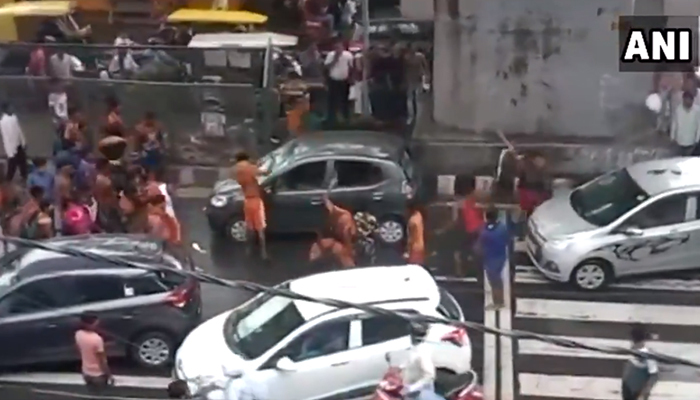 The video which was shared online on Wednesday shows a dozen Kanwaris, mercilessly thrashing the windows and doors of the car with sticks and then toppling it over. Interestingly, both the spectators and the policemen stood watching the incident without any attempt to intervene. However, all the passengers in the car are safe as they were taken out immediately. The pilgrims continued their destructive act on the car. No formal complaint has been lodged about the incident yet. It definitely worries us to see the amount of cruelty in the act and also, the helplessness of the policemen. This is definitely not what we expect from people who have pledged to maintain law and order in our country.